ATTWELL, Michael Charles – Born in Plymouth, England March 22, 1934. Passed away December 7, 2017 at Lakeridge Health Oshawa after a 2 year battle with Alzheimer’s and heart disease. 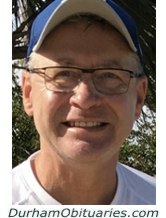 Dad was an avid runner, tennis player, soccer coach, reader and inventor. He graduated with a chemistry degree from University of Scotland and later while working as a chemist full time and raising a family of 4, he returned to U of T and received his BSc degree. 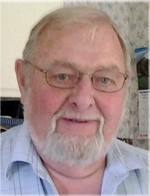 Glen Allan Mollison passed away on Thursday, December 7, 2017 at Ross Memorial Hospital, Lindsay at the age of 82. 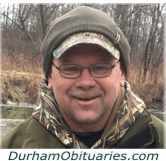 KOWBUZ, Daniel (Danny) Terry - Born October 17, 1952, Daniel (Danny) Terry Kowbuz passed away peacefully in his 65th year at Lakeridge Health Oshawa on December 7, 2017. Son of Vera and the late Norman Kowbuz. Brother to Ron and Diane (Finch). 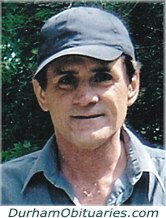 Danny was the devoted husband and best friend to Barbara (Cole) for 34 years. He was a wonderful and loving father to Amy and Amanda and son in law, Justin Azzano. 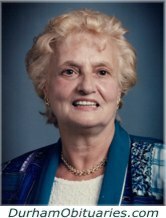 MINÁCS, Irene Margaret (nee Orbán) - BORN OCTOBER, 2, 1921 IN BUDAPEST, HUNGARY, PASSED AWAY PEACEFULLY ON DECEMBER 7, 2017 AT HILLSDALE TERRACES WITH HER FAMILY AND FRIENDS BY HER SIDE. 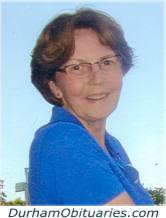 IRENE, BELOVED WIFE OF THE LATE STEPHEN (OCTOBER 28, 2003) OF OSHAWA. CHERISHED DAUGHTER OF THE LATE MARGIT AND ALEX ORBÁN OF OSHAWA. Passed away peacefully with family by his side at Lakeridge Health Oshawa. Fabian is survived by his wife of 59 years, Mary (Nee McGuigan); sons Ron (Pam), David (Christine), James Roy and Derek; grandchildren Ashley, Noah, Patrick, Joeb, Madeleine, and Alice and great-grandchildren Jakob, Evalynne and Ivy. Brother to Pauline and her husband James ‘Jim’ McCarthy and William ‘Bill’ and his wife Anita Daley; predeceased by Reggie, Gertie and Louis. 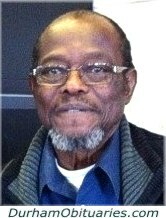 MAISON, Henry Alexander - Went to be with his Lord and Saviour on Wednesday December 6, 2017 at Lakeridge Health Oshawa at the age of 69. 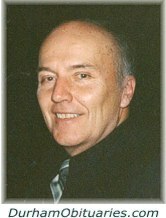 Cherished father of Simone, John (Jennifer), and Sharri (Allen Edmunds). Lovingly remembered by his grandchildren Josiah, Aeyanah, Myah, Jeremiah, and Joshuah. Dear brother of Winston Morris, Randolph, and Prince Joseph. Henry will be greatly missed by his many nieces, nephews, extended family, many friends, and colleagues. 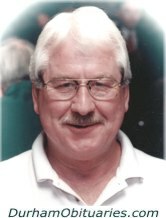 ROSS, Robert Donald “Bob” - at Uxbridge on Wednesday, December 6, 2017. Bob was the beloved husband of Sherrill (Burney) Ross of Woodville. Loved father of Debbie Clayton of Mississauga and Tracy (Maurice) Marnika of Etobicoke. Survived by his grandchildren Nicholas and Dario. Brother of late Jim (Barbara) Ross of Hamilton. 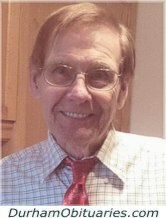 HUBER, Diedrich - 77, passed away peacefully, Wednesday, December 6, 2017, with family by his side, at his home in Pickering. Dieter was born August 11, 1940 in Oldenburg, Germany. After a courageous battle with cancer, Sheila passed away peacefully at Lakeridge Health Oshawa on December 6th, 2017, at the age of 69 years. Beloved and devoted wife of Peter for 50 years. Loving and cherished mother to Robin (Wade) and Jennifer (Dean). Loved nanny of Avangeline and her grand puppies Max and Boo. Dear sister of Colin (Debbie) and Jeanne Knight. POTOCNIK, Margaret - Suddenly passed away on Wednesday December 6, 2017 at the age of 77. Beloved wife of Peter for 50 years. Loving mother of Julia Potocnik, Peter Potocnik and Lisa Beattie (Jason). 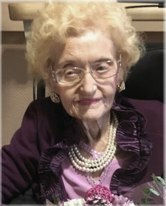 Cherished Oma of Kate and Will Beattie. Survived by her siblings Gerard Overgoor, Mary Holy (Dolph), Ann Overgoor and sister in law To Overgoor. It is with great sadness that the family of Celestine (Sally) Hill announces her passing on December 6, 2017 at Centenary hospital at the age of 94. ROTH, Steve - Passed away at Sunnybrook Health Sciences Toronto on Monday December 1st, 2017 in his 81st year. Loved Dad of Steven and his wife Stacee and Thomas and his Deborah all of Brooklin. Respected grandpa of Taylor, Haylee, Thomas and Oceanna. Private family celebration of life will take place, in his memory donations to the Heart and Stroke Foundation would be appreciated. McGUIRE, Charles – Passed away peacefully at Lakeridge Health Oshawa, on December 5, 2017, at the age of 72, in the loving presence of his two sons. Charles leaves to mourn his two sons, Danny (Susan) and Patrick (Denise), as well as his grandchildren Hannah, Sierra, Brooke and Jason. 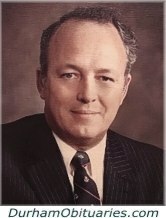 Charles was the beloved son of the late Charles and Helen McGuire and brother of Bernard (Karen) and the late Vincent. Charles also leaves to mourn his nieces and nephews Jeffrey (Renee), Adele (Rob), Mark (Cathy), Paul (Karen) and Michael (Kara) and several great nieces and nephews. HOLDEN, Edward "Ed" - It is with great sadness the family announces the passing of Edward (Ed) Holden on Tuesday, December 5th, 2017, at the age of 90. Rejoined with his beloved wife Alma Marion (Molly) Holden (nee Dobbin). 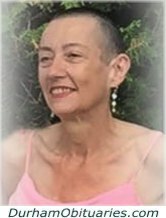 WILSON, Brenda Lee- Anne (nee McCarron) - Surrounded by the love of her family, Brenda peacefully passed away at Lakeridge Health Bowmanville on Tuesday December 5, 2017 at the age of 53. Beloved wife of the late Chris. Loving mother of Taylor (J.T. McCallum) & Dale. Cherished daughter of Jim and the late Dorilda McCarron. Dear sister of Lisa McCarron, Julie McCarron (Andy) and sister-in-law of Michelle (Brad) Peters. Much loved daughter-in-law of Sheila Wilson. She will be sadly missed by her many nieces & nephews and pets, Ace & Paco. Passed away peacefully, with his family by his side on Tuesday, December 5th, 2017 at Rouge Valley Centenary Hospital, at the age of 55. Proud Dad of Dan, Erik and Michelle. Cherished son of Ursula and Leon Krotki. He will be missed by his sister Christina Krotki and his brother Chuck Krotki. RUSZER, Olimpia (nee Priante) – Peacefully on Tuesday December 5, 2017 at Lakeridge Health Bowmanville in her 92nd year. 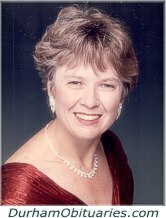 Beloved wife of the late Karol Ruszer. Much loved mother of Frank Ruszer and his wife Melinda of Kitchener and Joe Ruszerand Linda Vinette. Proud grandma of Jason (Cheryl), Jessica (Chris) and Renee, and great grandma of Emma, Harper, and Aaron. Dear sister of Dora and her husband Domenco Diletti, Italy, and Joseph Priante and his wife Assunta,Italy. Passed away peacefully after a short battle with cancer on Tuesday December 5, 2017 at Belleville Hospital at the age of 80. Beloved husband of Joan (nee Collacutt) for 57 years. Cherished father of Rick, Jim and his wife Robin, and Cathy and her husband Sal. Lovingly remembered by his grandchildren Erik, Jack, and Luke.